Eco-Partner Application – Come Work With ecoprintQ! | Industry Analysts, Inc.
Eco-Partner Application – Come Work With ecoprintQ! 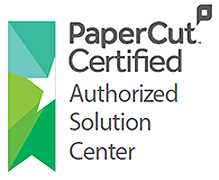 ecoprintQ, is a certified PaperCut Authorized Solution Center (ASC) servicing all of North and South America. Our company pilots unprecedented Customer Service entrenched in dynamic Technical support for today’s Print-Scan-Fax-Copy Management Markets and also is a bi-lingual Organization with over 10 Years’ Experience. This entry was posted in ecoprintQ and tagged application, ecoprintQ by IA Staff. Bookmark the permalink.